I’ve installed the latest Ubuntu, 18.10 Desktop, or “Cosmic Cuttlefish”, as a VirtualBox VM on my MBP. The MBP is currently running macOS 10.14, or Mojave. The version of VirtualBox in use is 5.2.20 r125813. 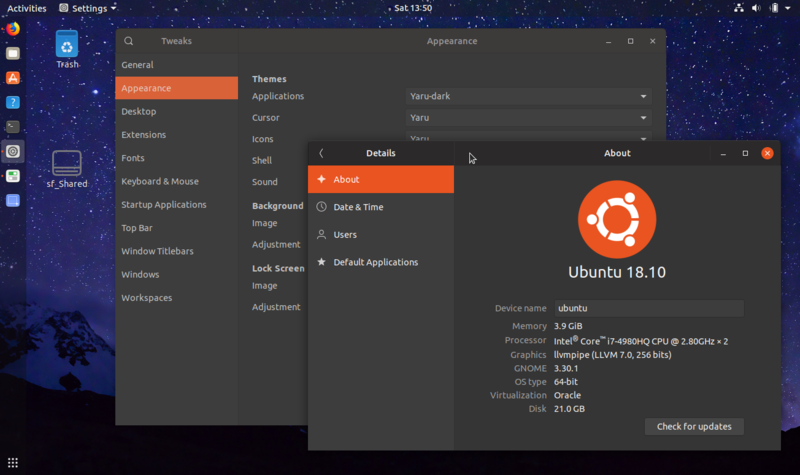 After an extremely limited test run I’ve found nothing out of the ordinary with this release of Ubuntu and I can comfortably say that it should run well under just about any environment, bare silicon or virtualized. One key feature in this installer that I appreciate and I’ve not seen in any earlier Ubuntu release is the ability to install a minimal desktop. This installs just the desktop, basic utilities, and Firefox web browser. This is great for a custom install for any reason, as I’ve grown tired of the kitchen sink installations where I have to go back in and run a script to yank everything off I didn’t want installed in the first place. Because I run under VirtualBox I always build and deploy the Guest Additions inside the VM. That requires gcc and the kernel headers be installed. These tools aren’t installed with the minimal setting. To get those tools you need to run ‘sudo apt install build-essential’ at the command prompt. If you want the Tweak Tool, then you need to run ‘sudo apt install gnome-tweak-tool’. 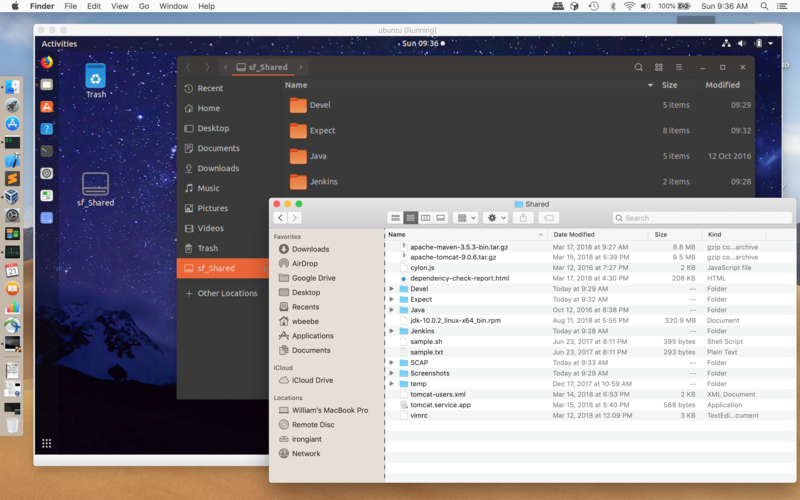 The only reason to install the Guest Additions is to share/mount a local host folder within Ubuntu, to allow the easy passing of files between Linux and macOS. The Tweak Tool allows you to select the dark theme (Yaru-dark). So far I find the desktop is easy to live with and to use. It’s a lot flatter than all prior releases using a stock desktop theme, and I appreciate that more than older themes with their pronounced skeuomorphic touches. As for dev tools, I have python3 (3.6.7), gcc 8.2, perl 5.26, and git 2.19.1. I might put Java on this instance as well as Go, but right now I have more than enough programming capability. My only quibble with the tools is that Python isn’t up to 3.7, but at this juncture it’s close enough. If I need the latest formal release then I’ll install it the same way I installed 3.7 on my Raspberry Pi under Raspbian.